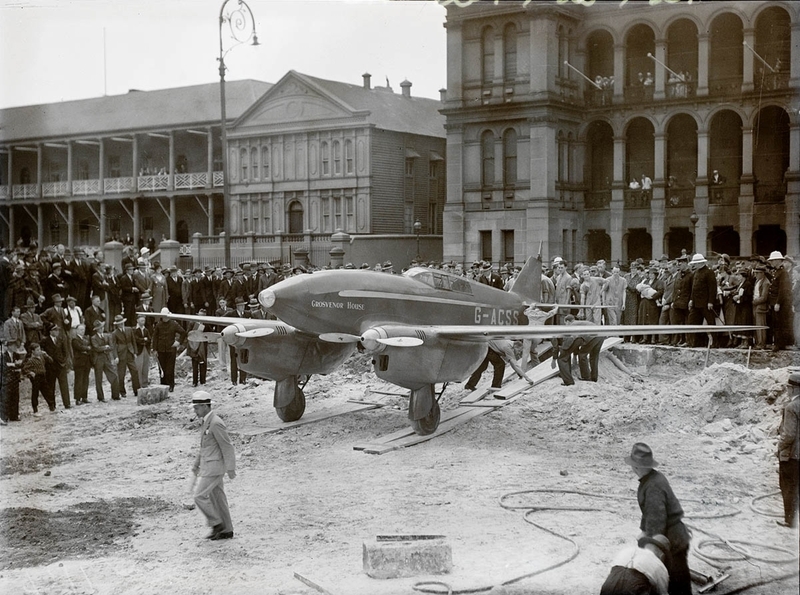 One of the most elegant aircraft ever built, the DH.88 Comet is notably famous for winning the 1934 McRobertson air race from London to Melbourne. Three Comets entered the race, which was won by Charles Scott and Tom Campbell Black in G-ACSS, painted red and nicknamed “Grosvenor House”. “Grosvenor House” in Sydney in October 1934. Jim Mollison and his wife Amy (born Amy Johnson) entered the race with G-ACSP and were the race favourites. After making an unscheduled stop at Jabalpur, they discovered no aviation fuel was available and had to us fuel provided by a local supplier. This caused damage to the engines and although they managed to push on to Allahabad, they were forced to retire from the race. Jim and Amy Mollison’s G-ACSP “Black Magic”. The third Comet to participate in the race was G-ACSR, which was painted British racing green and did not receive a name. 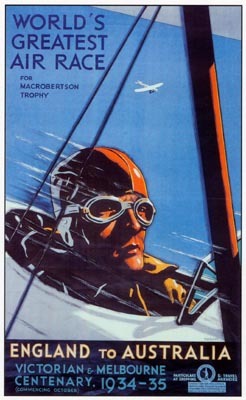 It was flown by Owen Cathcart Jones and Ken Waller and took the fourth place in the race.